I'll be honest as much as I adore L'Oréal, their eyeshadows lack that wow factor (for me they're outdated and the packaging need some livening up). But when I first laid eyes on the Cherry My Cheri Palette, it was exactly what I needed to get me excited about their eyeshadows again. L'Oréal jumped on board the trend of rich burgundies, warm peaches and everyday neutrals in one mega palette and I am SO here for it! 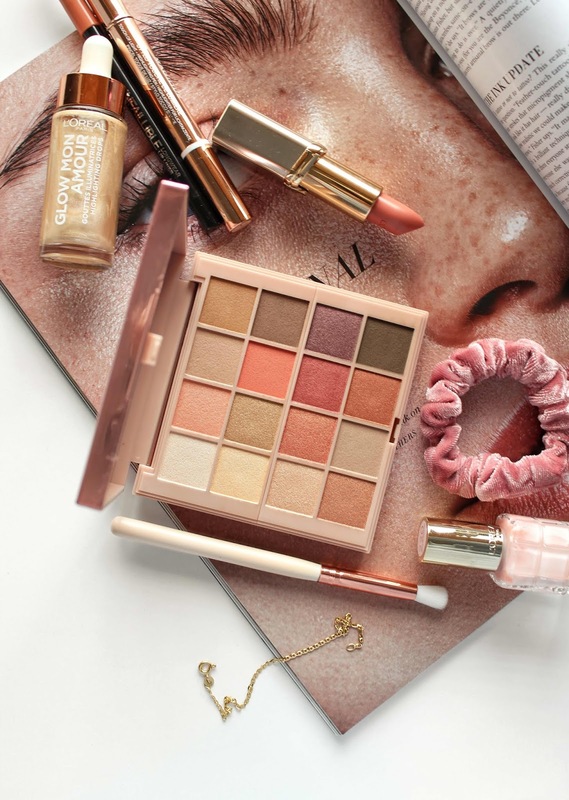 At first glance it resembles the ever popular Sweet Peach Palette by Too Faced with its deliciously fruity colour scheme (perhaps that was their inspiration) and although I don't own that gorgeous palette, I feel like this particular one is the next best thing. The rose gold packaging is incredibly pretty and I am a complete sucker for it, but it's a shame that it doesn't come with a mirror which would have been extremely handy for use on-the-go. For me however, it's not a total deal breaker and if you love scented makeup (I mean who doesn't?! 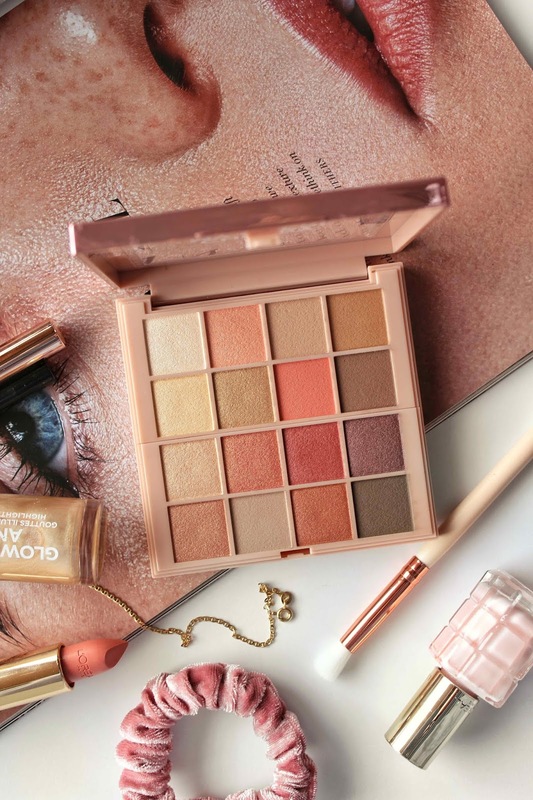 ), then you'll be pleased to know the eyeshadows are infused with a subtle fruity fragrance that smell as good as they look which is definitely a good redeeming factor! With a total of 16 yummy shades ranging from matte to shimmer and light to dark, it allows you to create any look you desire for any occasion with full versatility. 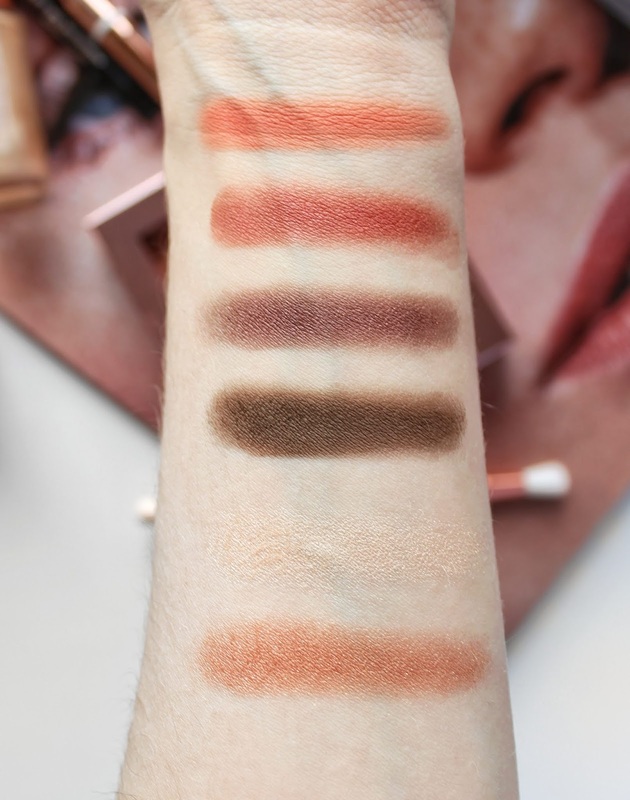 I swatched six random shades and now that I really look at them, they are giving me strong Autumn vibes and I am very much into it! 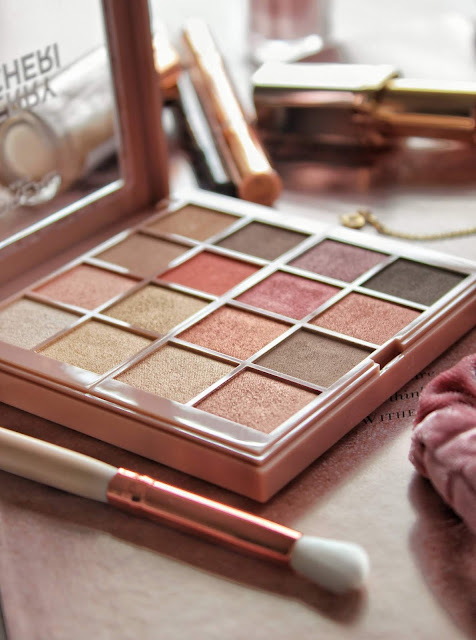 I find that most drugstore eyeshadow palettes can be quite hit and miss, but this one is an absolute winner with its ultra soft powder formula and velvety texture. The shades apply beautifully across the eyelids with minimal fallout and great colour pay off too! I will say that a couple of the colours do look very similar and could have easily been excluded, but it is still a lovely palette nonetheless. Which L'Oréal products are you a big fan of? Oh wow! 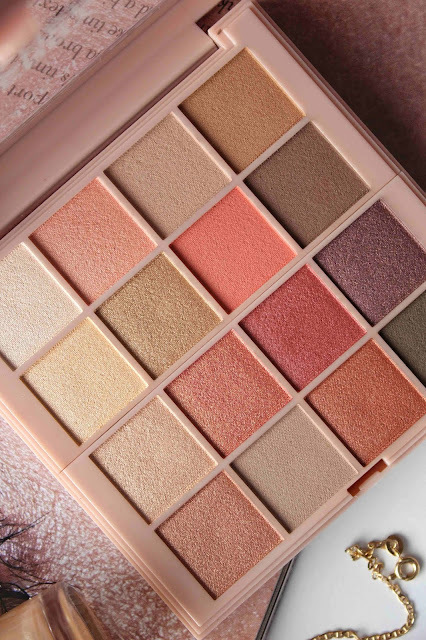 I have the Sweet Peach Palette and love it, and this one does look a little similar with its shades! I’m usually not a huge fan of L’Oreal but it looks like they’re trying to expand a little more and take some tips from the bigger brands! Good for them! I’ll have to check out this Palette for sure. Thanks for sharing!